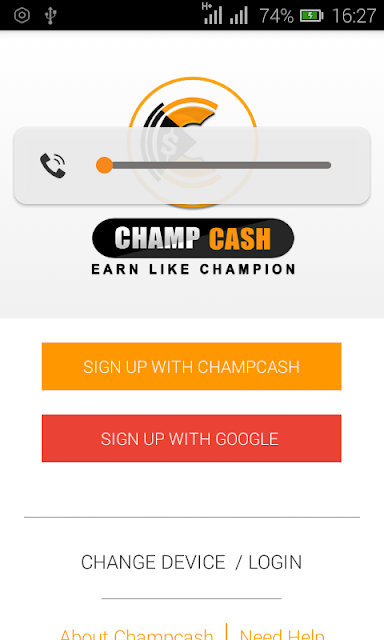 I came across this Android app called Champcash (100% free networking application) with which you can earn cash using your android device. To get started or become a publisher, all you have to do is download and install the champcash app, complete your challenge and earn cash by inviting your friends to use champcash. All for free, you don't have to pay any startup fee. Immediately after sign up, Taking on the challenge requires you install about 8-10 apps on your android device and open them one by one for about 1min. 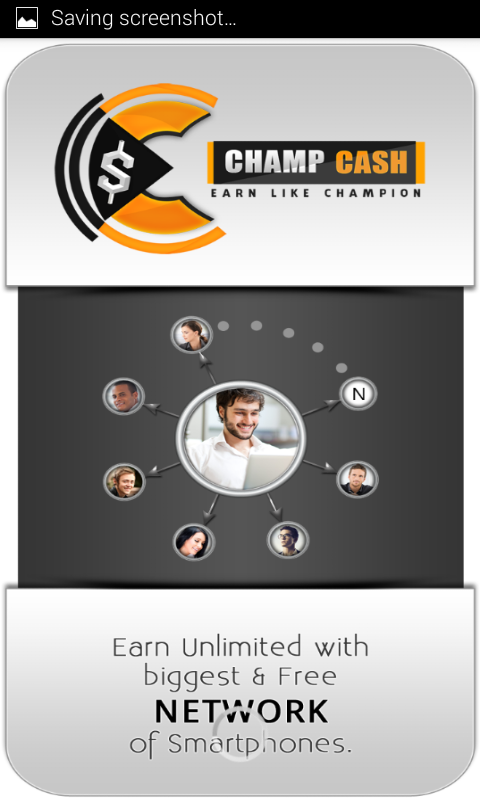 •Earn when you refer champcash to your friends by clicking on " invite to earn"
The more friends you refer, the more cash you earn. You can also promote your referral link on social media. 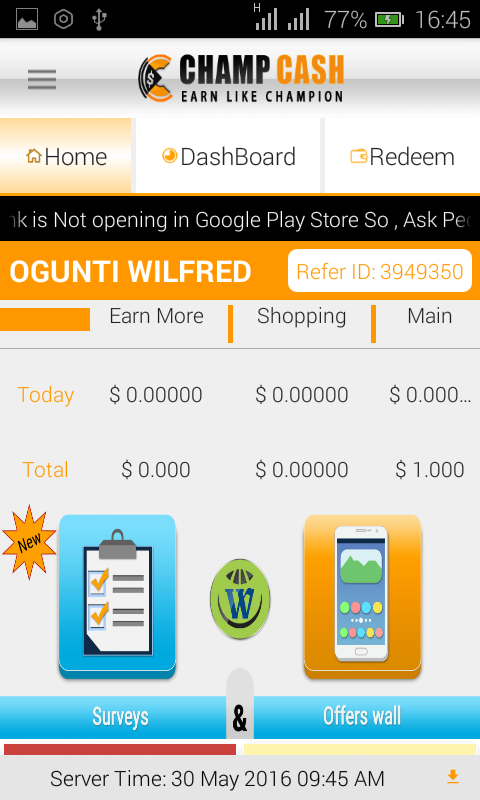 Ask your friends to install all the apps in the challenge and open them one by one for 1min each to enable you get your payout. 1.Paypal / Bank Transfer: You can Withdraw Your cash through Paypal or Bank Transfer. 2.International Mobile Recharge: You can Withdraw your cash by recharging any mobile number internationally. 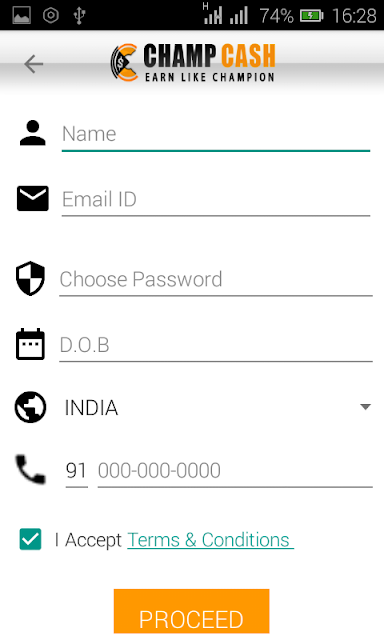 3.E-Gift Cards: You can withdraw your cash through E-Gift cards of Amazon,Flipkart,etc. What are you waiting for?, download champcash now and start earning.